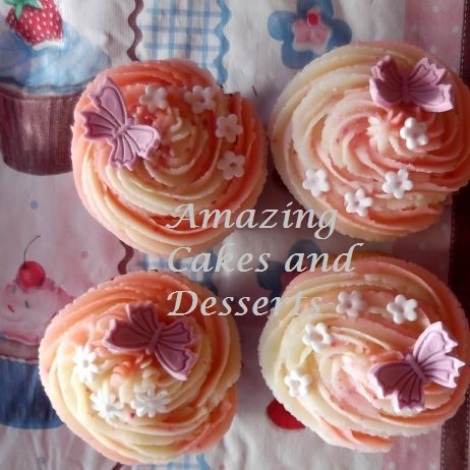 These pretty cupcakes have two flavours - one main flavour and one in the centre. I customise the flavours, colour and decoration to suit your taste and theme. Please refer to my Flavours and Icings page. If your favourite flavour is not listed just let me know and I will try my best to make it for you! Just try me... I am confident that you will like my cupcakes!